We create the possibility for every parent and child to meet the challenges of life with courage and resiliency. Community-based support for the families who need it most. We help parents and children develop the confidence and skills they need to become their own best advocates. 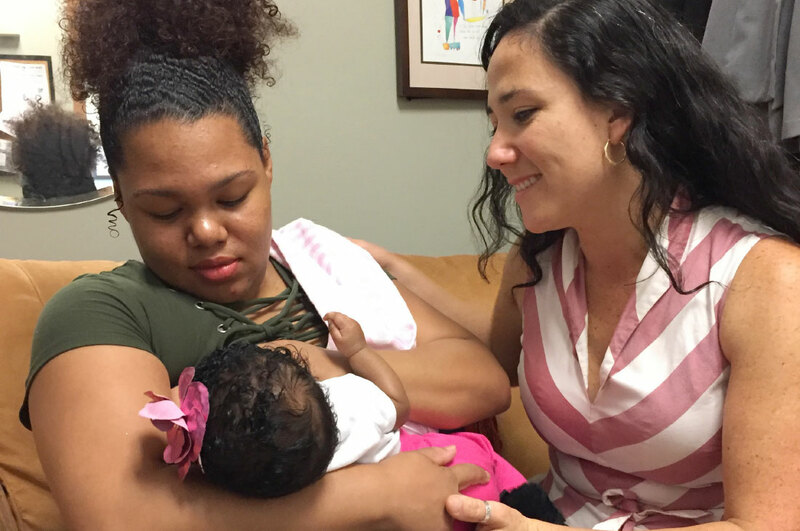 Our network of trained birth doulas and community-based early parenting support create positive early childhood outcomes that last a lifetime. We foster positive early childhood outcomes by matching families with trained birth doulas and early parenting support from their communities. We help build a supportive network for each family, which works to ensure parents have the skills they need to be strong and confident, and to advocate for themselves and their children. When we met Sara, she had separated from her husband, was laid off from work, recently evicted, and feeling very scared and alone. 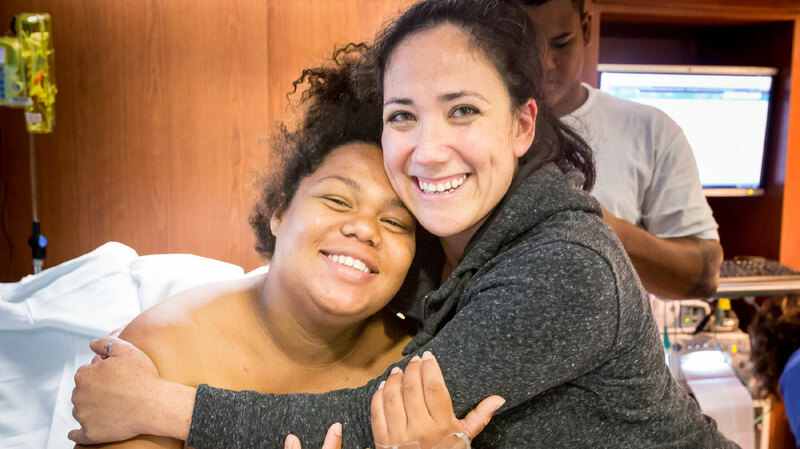 With support from Open Arms, Sara found housing, enjoyed pregnancy support from doulas in her community, and felt prepared for a positive and empowering birth experience. From pre-birth counseling and education, through labor, to postpartum support through breastfeeding guidance, support groups, mental health counseling, and home visits, we encourage healthy parent-baby bonding and build baby’s brains. We establish supportive networks from pregnancy up to a child’s second birthday, without charge, to help develop strong, confident parents who raise children ready to flourish. Sara’s story continues, and so does ours. We envision communities who alter their destinies, from lives full of vulnerability to lives full of opportunity. By bringing together caring community members, partners, and champions of equity and social justice , we embrace new and expecting parents with compassion, encouragement, education, and tangible, culturally-sensitive support, so that families succeed and children thrive. Thriving children. Healthy Families. Powerful communities. That’s the Open Arms story.